Ecco RotoLED Hybrid LED Beacons are a incredibly effective safety lighting solution with unmistakable rotating signal. 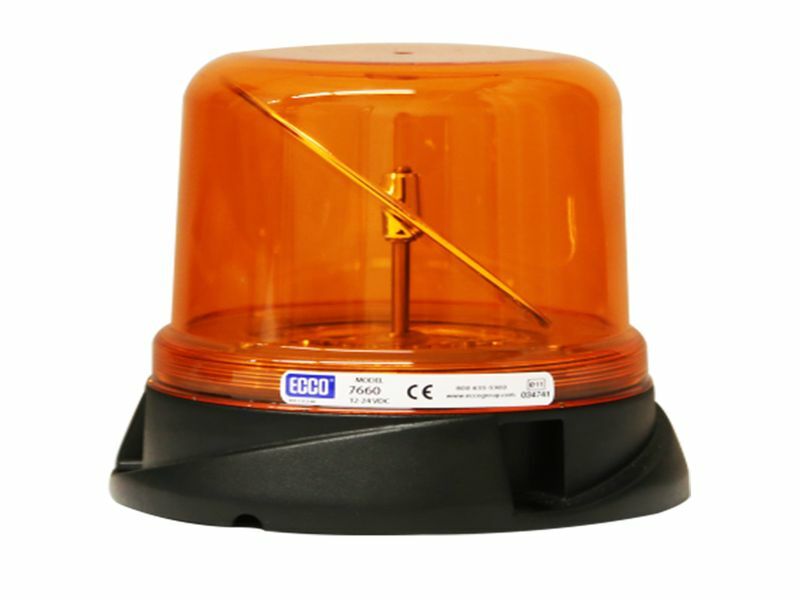 Ecco RotoLED beacons are ideal for a wide range of safety lighting applications such as road side work, general construction or material handling. The RotoLED beacons are a hybrid led rotating beacon with a brushless magnetic drive system to rotate the reflector disk. This reduces noise and increase reliability. These beacons are designed for industrial applications which features epoxy encapsulated circuit boards which protects components against moisture, vibration and dust. Ecco beacons will offer a 2 year warranty against manufacture defects. Each Ecco safety light will come complete with install instructions. Several mounting styles are offered to fit your individual needs.